The Duchess of Cambridge has given her first solo television interview for a special programme marking the Queen's 90th birthday. 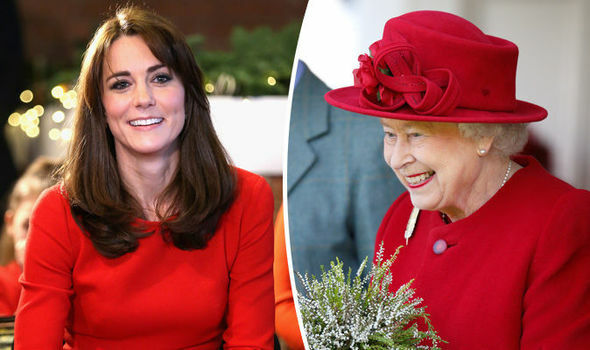 Kate joined other members of the Royal Family for the ITV show, due to be aired in the spring, to mark the Queen's life and 63 years on the throne. The Duchess was interviewed by broadcaster Tom Brady, who also spoke to Kate and Prince William on the day their engagement was announced in November 2010. But her latest television venture marks her first solo moment in front of the camera, with a now more experienced Duchess having made charity videos and taken part in many royal events at home and abroad. The film, which has the working title The Queen At Ninety, also includes contributions from the Prince of Wales, the Duchess of Cornwall and William, along with other national and international figures. Film crews were given access to the Queen as she worked last year and to other members of the monarchy. Nick Kent, an executive producer from Oxford Film and Television which is making the two-hour programme, said: "We've been fortunate to have the participation of so many members of the Royal Family to mark this historic milestone in the life of the Queen. "It's a remarkable story of an extraordinary life which in so many ways reflects the changing face of the nation." Jo Clinton-Davis, ITV's controller of factual, who co-commissioned the programme, said: "As she reaches her 90th birthday, this film aims to offer a fresh insight into our monarch's life and work." The Queen's 90th birthday will be marked with a weekend of national celebrations around the time of her official birthday in June, along with other events to mark the day she was born, April 21 1926. Ant and Dec will host The Queen's 90th Birthday Celebration, a horse-themed event, to be broadcast live in May. The celebration, to be held in the private grounds of Windsor Castle, will be attended by the Queen. Faces from the world of entertainment will take to the stage and in the arena the audience will watch performances from a range of organisations including the Oman Royal Cavalry, New Zealand Army Band, the Mounties, and The King's Troop Royal Horse Artillery.